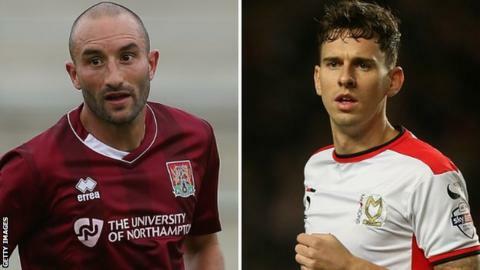 League Two side Barnet have signed Northampton midfielder Chris Hackett and MK Dons midfielder Mark Randall. Hackett, 32, has scored one goal in nine outings this season and joins on loan until the end of the campaign. Randall, 26, has not featured for MK Dons so far in 2015-16 and has agreed a short-term deal until the summer. Meanwhile striker Aaron McLean has left The Hive after turning down a new deal with the Bees while Tamille Roache has departed the club by mutual consent.